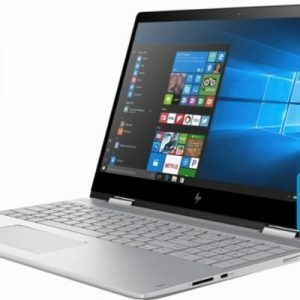 The HP Spectre x360 15t 1WB97AV_1 is Hewlett-Packard’s flagship 15.6-inch convertible 2-in-1 laptop. The light 4.4-pound Spectre x360 15t 1WB97AV_1 features not only fully-rotatable, thin-bezel, and sharp Ultra HD 4K display and premium-class appearance with its aluminum-chassis and 0.7″ profile, but also excellent internal components for fast computing. 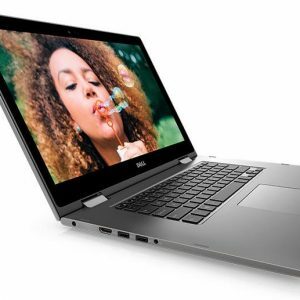 It has a powerful i7-8550U 8th Generation Intel Core processor and Nvidia GeForce MX150 2GB lower-mid-range dedicated video card for improved gaming and graphics tasks in comparison to standard Intel HD / UHD integrated GPU. 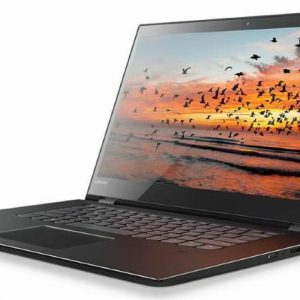 Furthermore, the 2-in-1 laptop incorporates very fast NVMe techhnology-backed solid state drive storage with up to 1-Terabyte capacity, and up to 16GB of RAM. The list of great features doesn’t end here. The Spectre x360 15t 1WB97AV_1 sports keyboard backlight, fast Thunderbolt 3.0 data transfer technology on one of its USB-C ports, and built-in support for Windows Hello face recognition log-ins. The convertible laptop is equipped with a very capacious 79.2 Whr battery. According to HP, battery life on this model is “up to 12 hours and 45 minutes” (probably with only light computing involved). 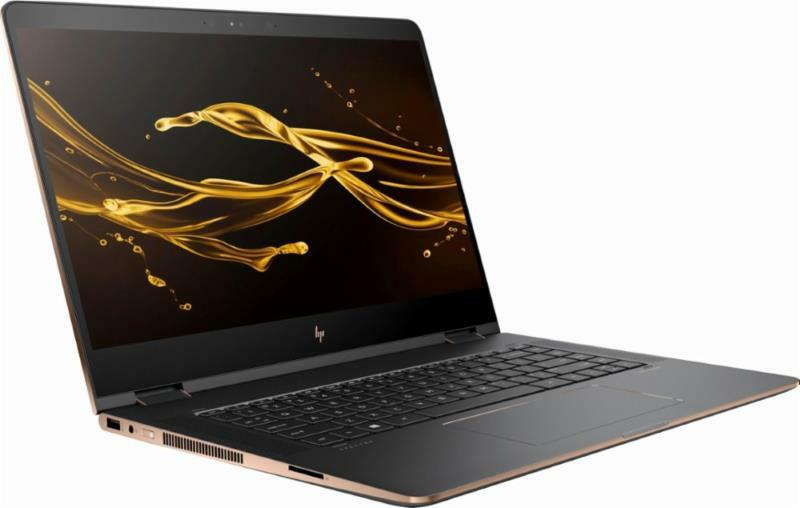 Here's the specs sheet of the HP Spectre x360 15t 1WB97AV_1. For comparison against other laptops, use the "Compare Specs" button.